Several years ago, Gatorade put out a commercial called, “I want to be like Mike.” As the music played, Michael Jordan played basketball and drank Gatorade. The song was catchy and people everywhere sang along. As the commercial ended, “Be Like Mike. Drink Gatorade” flashed across the screen. Suddenly, I wanted to be like Mike and I found myself thirsty for Gatorade. 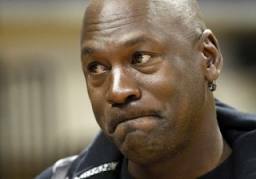 Michael Jordan is a great guy, but in the end, he’s another person who struggles with sin like the rest of us. The only person who never sinned was Jesus. He lived a perfect life and through His death made it possible for us to spend eternity with God in Heaven. Sorry, Mike. You’re awesome, but I want to be like Jesus. How can we be like Jesus? In John 15:12, Jesus said, Love one another as I have loved you. It looks like we can start by loving one another as He loved us. He loved us so much that He gave His life for us. Because of His love for us, He achieved more than any sports figure, rock star or businessperson has or ever will achieve. Let’s Be Like Jesus. Let’s Love One Another.